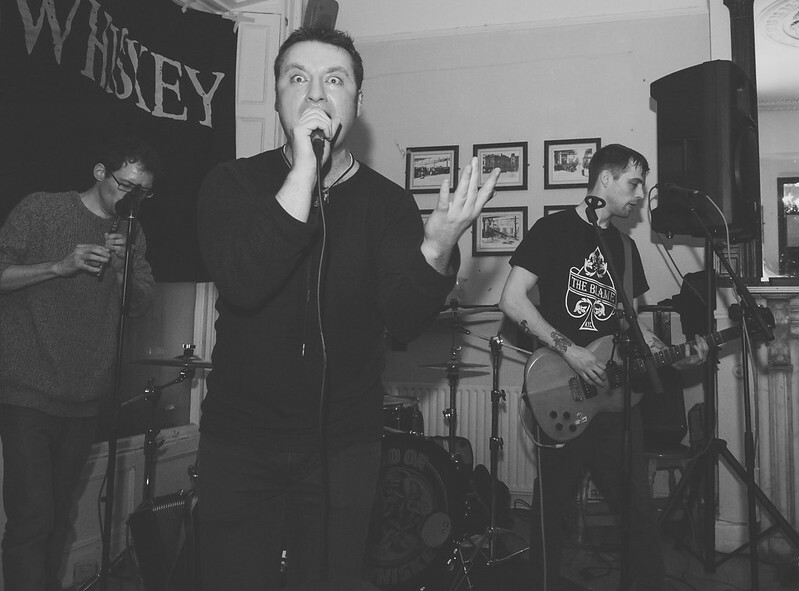 Understandably likened to The Pogues, but the bands influences lead their sound to be more accurately described as a hybrid of The Dubliners meets The Clash. Having released 2 EP’s & 4 studio albums (Cashed Out On Culture still widely regarded internationally as an Irish gem and Tell the Truth and Shame the Devil a classic), with 4 tours of the East Coast of America (three with Dropkick Murphy’s), a regular feature at the Rebellion Festival over the last 8 years (Morecambe, Dublin & Blackpool), and a tour of Japan under their belts, other career highlights included; supporting SLF on an entire UK tour, opening for the likes of Manu Chao, Rancid & The Pogues, playing Oxegen (2009), Reading & Leeds (2010), Blood Or Whiskey have covered a lot of ground in their career to date. The band played some select festivals in the UK in August 2012, returning to Rebellion in Blackpool and Reading & Leeds (having wowed the crowds there in 2010 on the Lock Up Stage!). They played Arthur’s Day in Dublin in September and opened for old chums Rancid in November at the SOLD OUT Academy Dublin. A trip around Germany in December and a stop-off in Cork rounded off the year nicely. 2013 opened with a bang with the band securing a place on the bill with Frank Turner and Dropkick Murphy’s, at their SOLD OUT Dublin show. With the fourth studio album released in March 2014 (Tell the Truth and Shame the Devil), they had a busy year. Early April saw them take in a ten date jaunt across Europe, stopping in the Netherlands, Germany, Switzerland and Belgium. What these dates have shown is that not only have the band retained fans from the past but they have also found a new audience. In May they were back out with more dates across Germany, the Czech Republic & Austria. They headlined the Warzone Fest in Belfast on August 23rd and opened for Alkaline Trio at The Academy Dublin on August 26th and played The Foggy Dew in Dublin on Arthur’s Day. 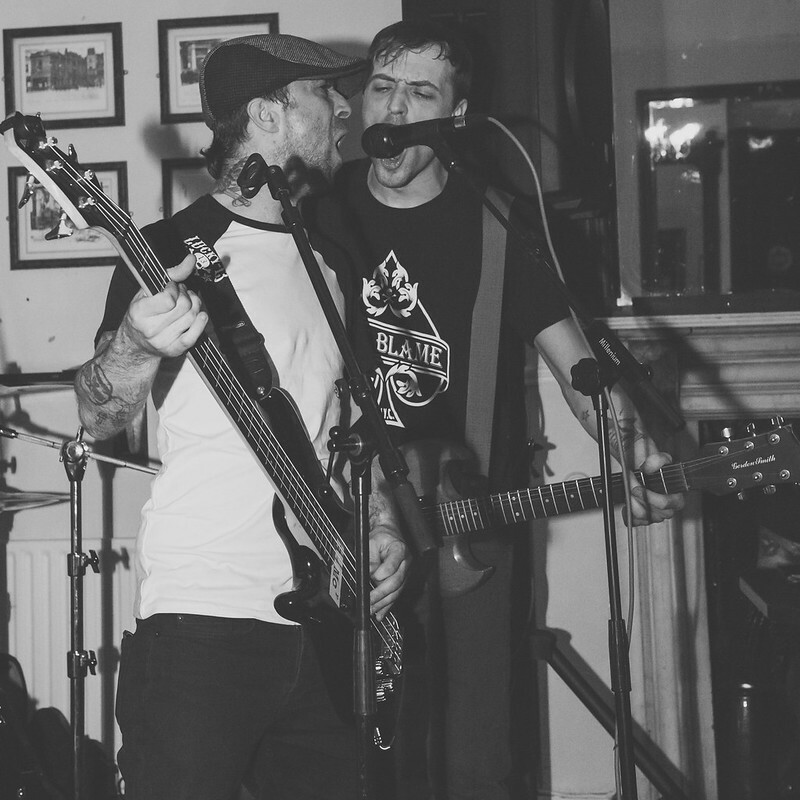 March 2014 saw the release of their fourth studio album “Tell the Truth and Shame the Devil” which was critically acclaimed by Hotpress calling it “devilishly good”. Then the band were invited to tour with old pals Dropkick Murphy’s, taking in dates across Europe the US and Canada, playing to an average of four thousand punters a night. On a couple of days off on the US leg they opened for ska legends The Slackers also. In fact the tour went so well that they were asked to be part of The Celtic Invasion Tour with the Dropkick Murphy’s and The Mahones, again they traversed Europe and the US to blinding reviews. They were accompanied on stage in two of the Boston shows by Cait “Rocky” O’ Riordan of The Pogues fame for a rendition of “A Pair of Brown Eyes”. The band also joined the Dropkick Murphy’s on every night of the tour to play Shipping up to Boston in the encore. While on tour they filmed the video for Dirty Aul War on a hotel rooftop in Santa Monica, California, again it proved a hit with the fanbase! Blood or Whiskey are still playing many of the old classics as well as airing some of the more ska/reggae sounding tunes from the “Tell the truth and Shame the Devil” album. 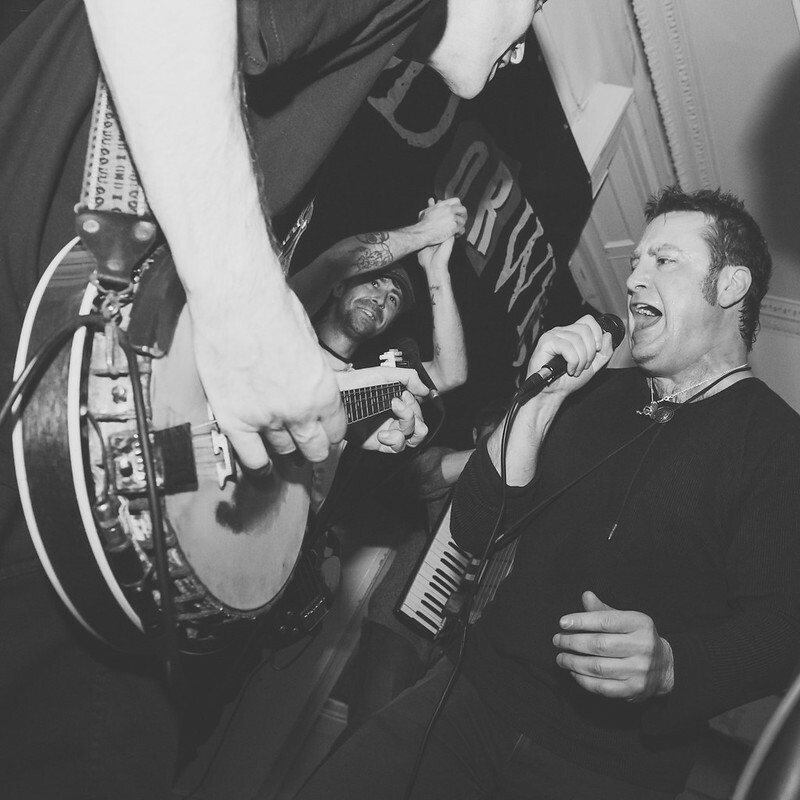 Renowned for their raucous shows, the re-energized band deliver their signature blend of Celtic punk like their lives depended on it! Go see!!! They are presently writing new material before playing some select festival dates in Europe this summer. They have a clutch of dates surrounding the Rebellion Festival in Blackpool in the UK this August. Plans to release a live album are also in the making. 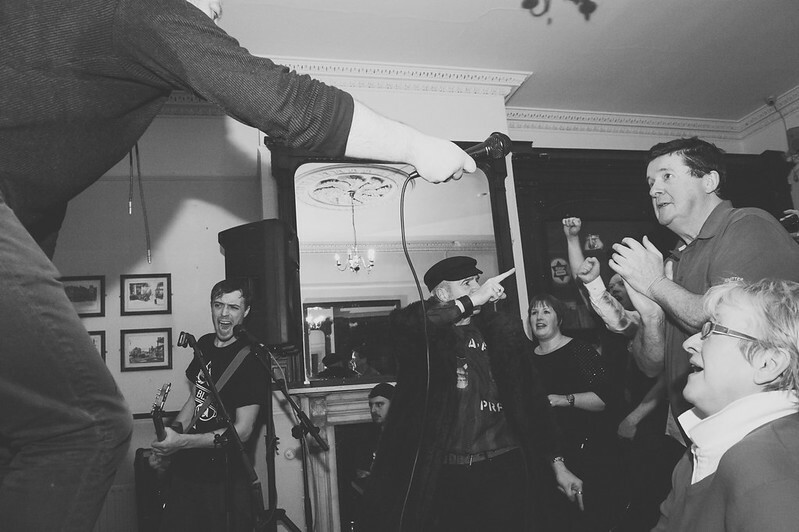 For fans of The Pogues / Dropkick Murphy’s / Flogging Molly / Gogol Bordello / The Dubliners & The Clash!